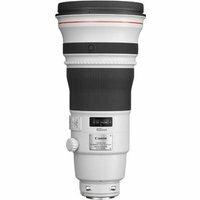 Canon EF 400mm f/2.8L IS II USM is an ultra-high-performance L-series super-telephoto lens, featuring a 4 stop Image Stabilizer with 3 modes. It delivers outstanding image quality in a robust and lightweight design ideal for sports and wildlife photography and has improved handheld and lowlight shooting thanks to 4 stop Image. SWC coating minimises ghosting and flare for enhanced image quality. It also has a 3 mode Image Stabilizer suited to sports and action photography and a 9 blade circular aperture for beautiful background blur.